Rite Aid has a lot going on and it’s a Great store to save lots of Money! Rite Aid Weekly Sales Ad has coupons that can be stacked with Manufacturer’s coupons to save even more! Rite Aid offers a Video Values Program where you watch videos and after watching the videos you are offered a Rite Aid store coupon for that product. The coupons can be printed immediately or you can log into your account and print them later. The Coupons/Videos change each month. You can also stack these with a manufacturer’s coupon! Rite Aid Wellness Program: Rite Aid offers their own Shopper’s Saving Card, called their Wellness Program. You can get an application and a store card at the Register in the store. Make sure to activate your card online HERE! 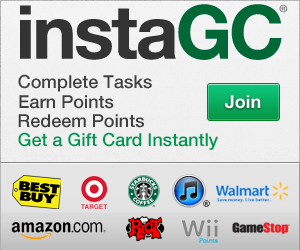 Earn Points for your purchases and get Rewards! For 125 points you receive a one-time 10% off shopping pass; 500 points earns you a 10% off on all non-prescription points purchases everyday; 500 points gets you a Free health screening; 1,000 points and you get a 20% off on all non-prescription points purchases every day pass! Single Rebate Checks (SCRs) are Rite Aids Rebate Program. I have to say, it is the EASIEST Rebate Program I have ever used! You buy products that qualify for a SCR (Single Rebate Check), Input your Receipt information online HERE and request your check at the end of the Month! You can only request one check per month, so I suggest you wait until the end of each month and log into your SCR Rebate Account and request your check. You will receive your check in the mail (and it comes quickly)! Rite Aid’s +Up program is a Rewards program that allows manufacturers to provide a +UP Reward to you for buying a specific product and/or number of products. These +Up Rewards can be used like CASH on your next purchase! This program is similar to Walgreens Register Rewards Program or the CVS Extra Care Bucks (ECBs) Program. Make sure to Read and Print the The Rite Aid Coupon Policy! Also, don’t Forget to ALWAYS Have the Cashier Scan Your Rite Aid Wellness Card when you Check out! Previous post: Living Social: 50% off Whole Foods Gift Baskets + FREE Shipping! Next post: FREE Full Size Aveeno in Sunday’s Paper!